Today, an update went out for the Amazon Appstore that might even get me to start using it again. Not likely, but I digress. Inside the update, you will find a newly re-done UI, which they just re-did a little while ago, and a ton of bug fixes which have been the main reason for my distancing. For some time, the Amazon app was a huge drainer of my battery and after a few days of that frustration I just uninstalled. It seems that Amazon has finally fixed the issue. There is also the ability to now remove apps from the My Apps list which was becoming exponential in size and very difficult to scroll though. With all of this, I may just leave it on my phone now and try to start using it for free apps or something. Also, if you happen to live in Japan, you can use the app now too. 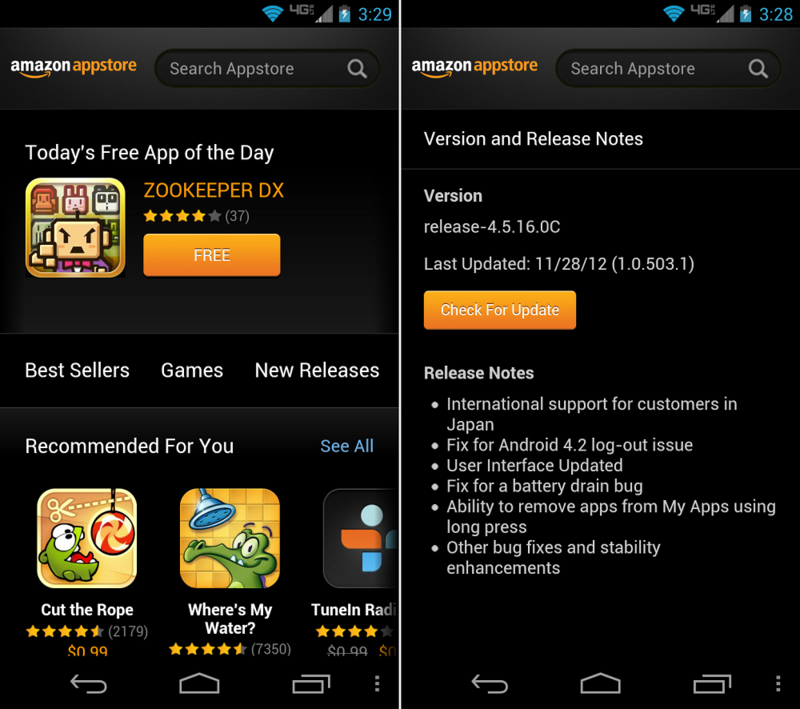 If you haven’t tried out Amazon’s Appstore yet or want to give it another go, you can download it from here.